In as much as I want the immediate disintegration of Nigeria, I can't help but feel the shame brought upon Africa by the Nigeria government through the insertion of an impostor as a president. I'm still in shock because of the evil that has been happening in Nigeria. This evil created by the Nigeria ruling cabal to bring an impostor from Sudan to replace the dead Mohammadu Buhari as the president of Nigeria, That impostor is Jubril, he has been impersonating Mohammadu Buhari who initially had no WAEC certificate because he never wrote the WAEC examinations but because the ruling cabals are very desperate to retain power through the impostor Jubril, they had a fake WAEC certificate forged for him. And I begin to wonder what is really going on at Aso Rock, how can the number one citizen of a country forge something like that, but I came to realize that we are living in a zoo country and that is how people in the zoo operate. This is a shame to Nigeria as a country. This is disastrous because it has tarnished the image of Nigeria and that of the West African countries globally. Well, I'm not surprised anymore hearing it because I can remember vividly well when the formal Prime Minister of Britain David Cameron said that Nigeria is fantastically corrupt and people thought he was lying but he wasn't, because he knows the foundation of Nigeria was formed on lies and deceit. According to the leader of IPOB who said that the level of corruption in Nigeria is so unbearable that you don't know where to begin from in rendering a helping hand to them to sort it out and that the heart of a black man is so evil and deceitful, that those in Aso Rock Nigeria called the Cabals has held the country hostage to the extent nothing is going on or moving at all, everywhere is full of darkness, wickedness, and atrocities in the highest order. My leader never stopped there he went ahead to reveal the hidden truth about Nigeria which the Cabals thought they have buried and can never be exposed but to their greatest surprised Mazi Nnamdi Kanu, the Joshua of our time has the answers to them all. So for those gullible Nigerians clamoring for one Nigeria did you know that your so-called fighting corruption President Muhammadu Buhari forged a WAEC certificate? 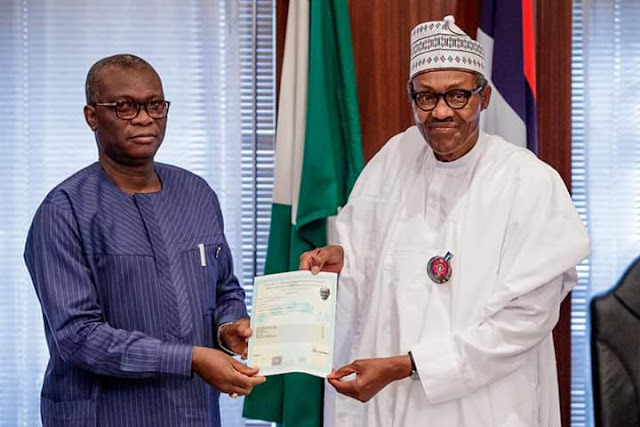 So you don't know that your president is dead and that the person sitting in Aso Rock impersonating himself as your elected president is not your president, and are you all telling me that you don't know that the person in Abuja is Jubril from Sudan?, now he had gone as far as to acquire for himself another forged WAEC certificate can't you Nigerians see the truth that is staring at your faces that the so-called cabals have been deceiving you all right from day one or are you all blind that you can't see the handwriting on the wall and that the cabals have been taking you all for granted to the extent of going so far to forge a WAEC certificate for an impostor. This is disastrous for a number one citizen of a country to get himself involved in such a scandal, this is humiliating to Nigerians and a global disgrace to Nigeria as a country. Am flabbergasted that some egomaniac Biafrans who are yet to understand the meaning of what IPOB Supreme leader is for. well he is fighting for your right, he is fighting for our freedom, fighting for our unborn children and as well fighting for our generation yet to come and instead of you joining the struggle to support him to fight for what you believe in rather you chose to go the other way round to criticize and insult the IPOB leader who is fighting for Biafrans, let me remind you all that your insults, curses, and criticism can never hurt my leader Mazi Nnamdi Kanu because God Almighty is with him and as well giving him the mantle to restore Biafra Nation and there is nothing any human being can do about it because surely Biafra must come to stay. Biafrans I urge us all to come out en mass and join hands together in restoring the sovereign state of Biafra with IPOB leader Mazi Nnamdi Kanu and his moving train because freedom is not free and we are going to fight to restore it but rather it will be taken.